CHENNAI: Soldiers rend their battle cry as their commander shouts “Fire!” and they fire from their European muskets, pausing to reload as a second line advances, takes position and fires again, all the time wading through the shallows of the Adyar River. Can you imagine the excitement of seeing such a ‘battle’? 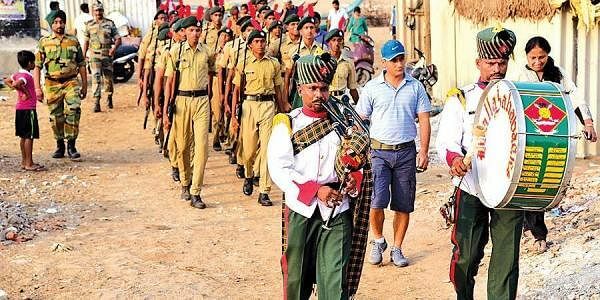 That’s exactly what ardent history buffs were in for on Sunday morning, as they saw a recreation of the Battle of Adyar (1746), staged by the National Cadet Corps and hosted by the Colours of Glory Foundation (a non-profit organisation promoting awareness of India’s military heritage). The re-enactment was flagged off by Vijesh Garg VSM, deputy director general, NCC, at the coastal strip between Elliots Beach and Adyar Estuary. The Battle of Adyar was fought between the French East India Company and the army of the Nawab of Arcot (a British ally), and was one of the most important battles of the Anglo-French Wars. It was then that they were faced with 10,000 soldiers of the Nawab, who garrisoned on the north bank of the Adyar led by his son Mahfuz Khan, and attempted to overwhelm the French. “However, in a splendid show of European musketry, Paradis and his forces waded across the shallows in columns, firing in 3-deep precision before pouncing on the enemy with their bayonets,” narrated Ramachandran. 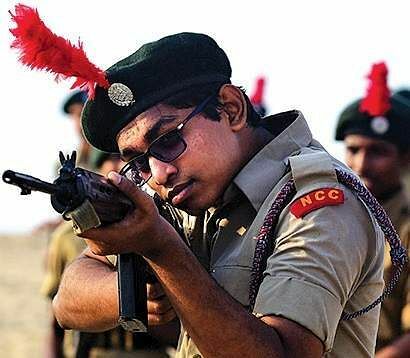 The NCC cadets demonstrated the very same firing procedure and advancing columns used by the French to defeat the untrained and undisciplined forces of the Nawab. The re-enactment made the public aware that it was largely the Indian sepoys who overwhelmed the enemy. This battle was a milestone in India’s military history, and also proved the success of recruiting natives as sepoys. It would later lay the foundation for what would eventually become the Indian Army, volunteers and veterans from the foundation added. The re-enactment was well lauded by the participants, who commented that it was important for such events to be conducted in India, especially when they were commonplace in other countries with a rich military heritage.